In the first report , the authors examined data from about 220,000 adult smokers who were followed for roughly 7 years. They showed that people who currently smoke are about three times more likely to die prematurely compared to “never-smokers.” Adults who quit smoking at ages 30, 40, and 50 gained 10, 9, and 6 years of life, respectively, compared with those who continued to light up. The second study  measured 50-year trends in smoking in over 2.2 million men and women. One group the authors studied was the first generation of women to follow what had been primarily a male smoking pattern: starting seriously in adolescence and continuing into middle and older ages. Their relative risks of death from lung cancer, chronic obstructive pulmonary disease (COPD), and cardiovascular conditions were virtually identical with those of men, confirming the prediction that if women smoke like men they will die like men. Another surprise was that the rate of COPD among male and female smokers is climbing. COPD is a progressive lung disease, including chronic bronchitis and emphysema, which makes it difficult to breathe; smoking is the leading cause. The authors suggest that changes in cigarettes promoting deeper inhalation may be contributing to this trend by exposing more lung tissue to cancer-causing chemicals and irritants. Both papers show that if you quit early—before age 40—you can avoid most smoking-related health risks. That’s not to say you shouldn’t quit earlier; quit by 30 and you can gain back that entire lost decade. In the US, about 45 million adults (18 years and older) smoke—that’s just over 19% of the population. Smoking kills 443,000 annually . Smoking rates are the highest in the Midwest and South. While rates have declined over the last 50 years, they remain much higher in less educated and lower income groups, and in regions where there are fewer anti-smoking laws. Of great concern is that despite these frightening statistics, smoking rates have stopped declining in recent years. Cigarette smoking costs the US $193 billion annually in lost productivity and health care . How can we discourage people from smoking? At the World Economic Forum in Davos, which I just attended, several successful approaches were discussed—high cigarette prices, taxes, smoking bans, and anti-smoking campaigns. Physicians should educate all of their patients about the dangers of smoking, and provide resources to help smokers to quit. But let’s not blame the victims—smoking is an addiction, and it’s not easy to stop cold turkey. Support groups and counseling should be readily available. The evidence is overwhelming. The burden—to smokers, their loved ones, and our society—is even greater than we knew. We must redouble our efforts to end our addiction to smoking. SmokefreeTXT is a mobile service designed for young adults across the United States. It provides 24/7 encouragement, advice, and tips to help smokers stop smoking for good. 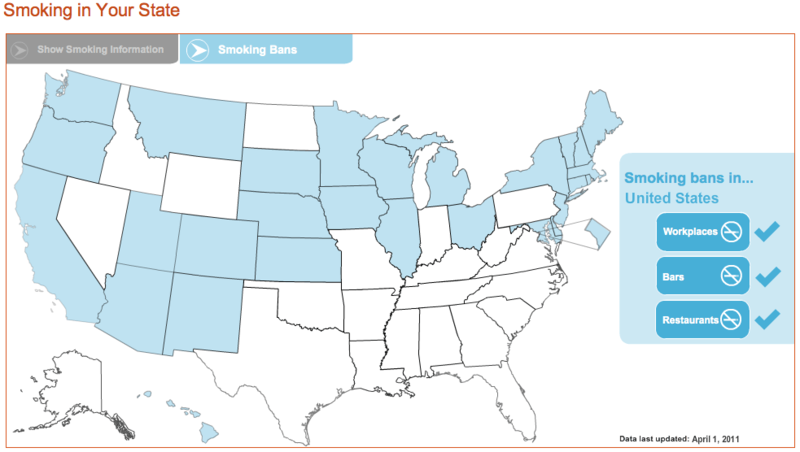 21st-century hazards of smoking and benefits of cessation in the United States. Jha P, Ramasundarahettige C, Landsman V, Rostron B, Thun M, Anderson RN, McAfee T, Peto R. N Engl J Med. 2013 Jan 24;368(4):341-50. 50-year trends in smoking-related mortality in the United States. Thun MJ, Carter BD, Feskanich D, Freedman ND, Prentice R, Lopez AD, Hartge P, Gapstur SM. N Engl J Med. 2013 Jan 24;368(4):351-64.